This is a game lodge where you can stay in a treehouse. 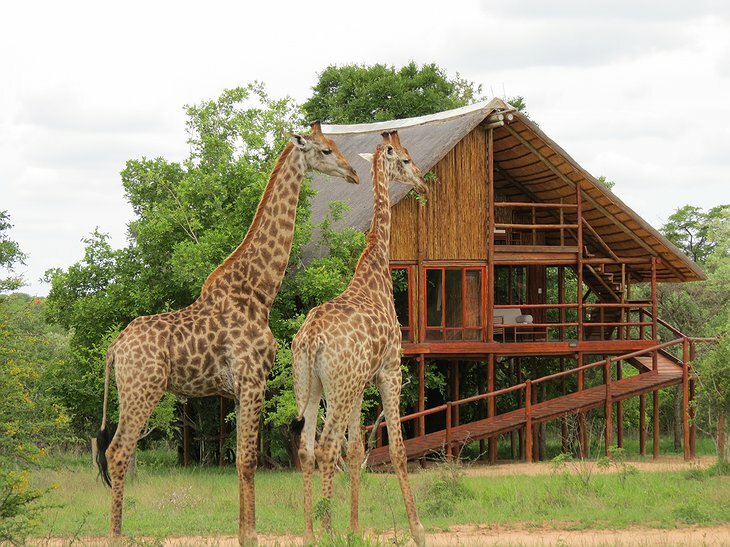 The location is very near to the famous Kruger National Park. 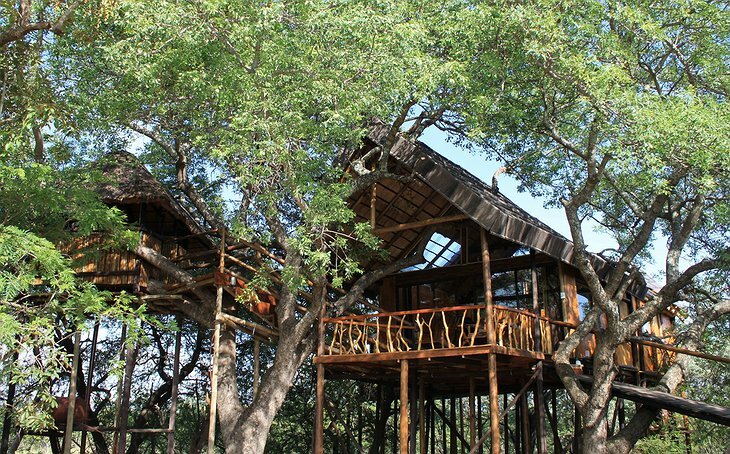 The main building is built around a giant Marula tree. 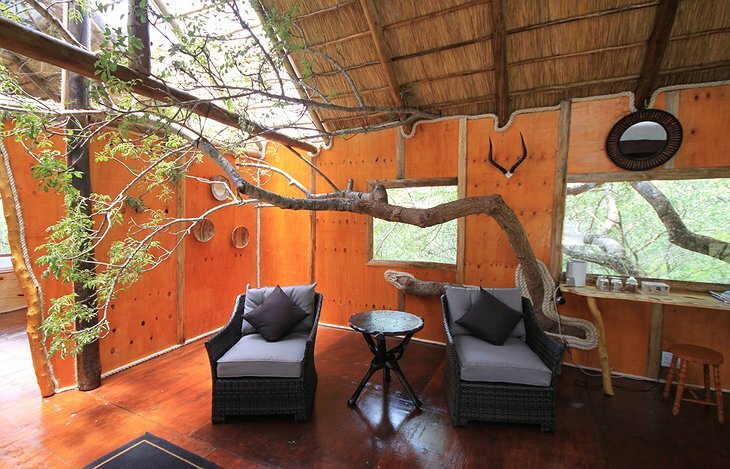 There, you can chill in the lounge, eat at the restaurant, check out the curio shop or have a drink looking out over the treetops. 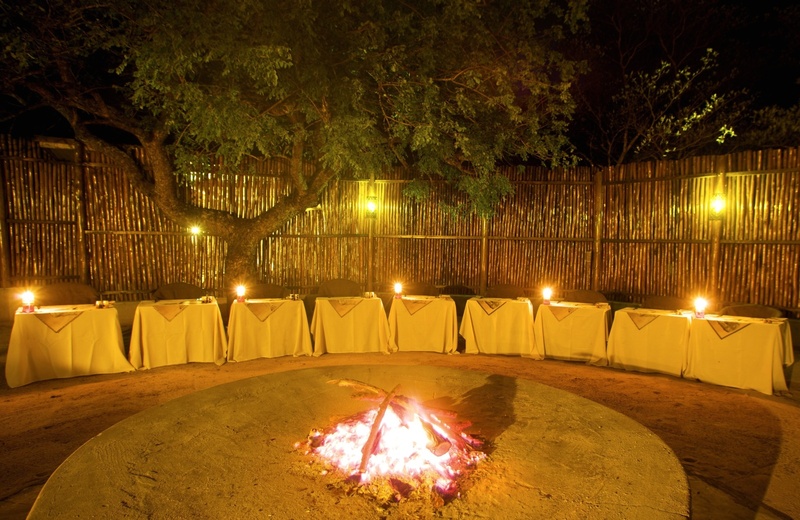 The rock swimming pool is there to help you unwind and relax after a long day out in the African bush. 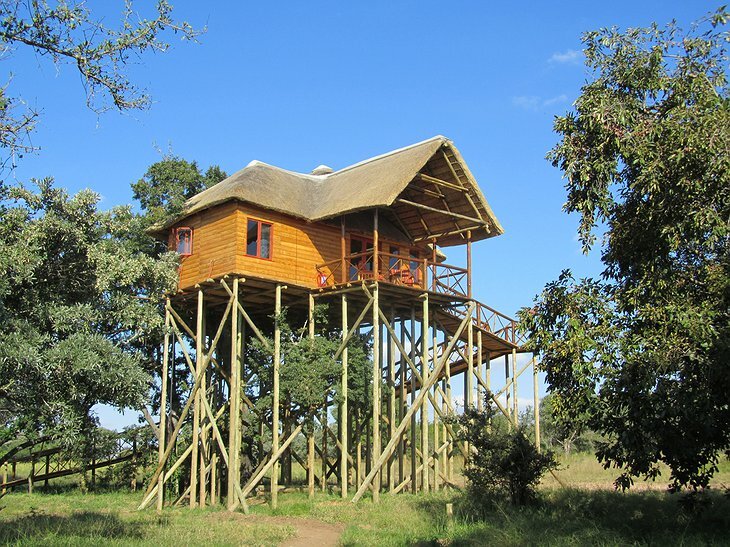 There is a lookout point where you can check out the panoramic view of the park and the far off Drakensberg Mountain Range. 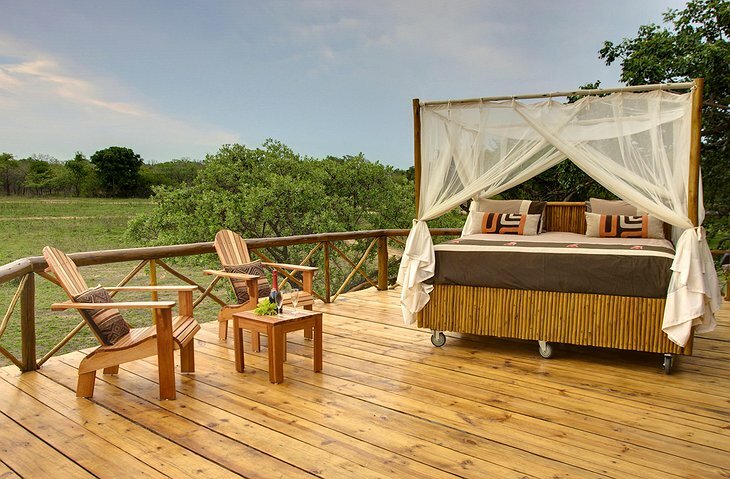 Local guides and rangers can take you out in the mornings and late afternoons on voyages of discovery where you can learn all about African wildlife. 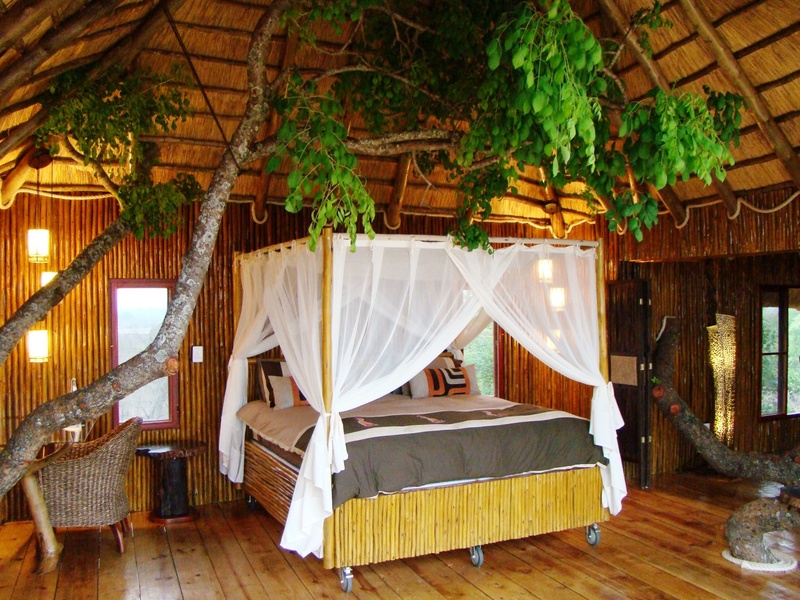 Your luxury treehouse has a thatch roof and is designed to camouflage naturally in the scenery. You have access to a balcony, hot water, fans and en suite – each treehouse is a secluded spot for privacy. 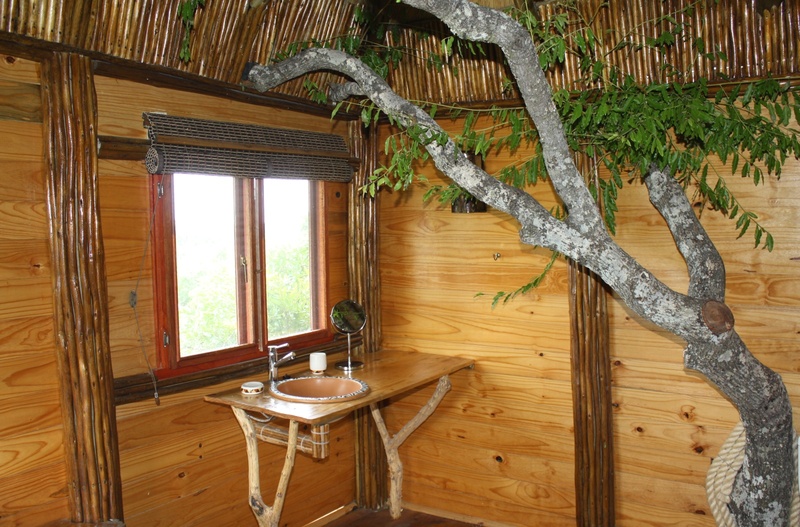 Some overlook a waterhole where animals come to drink. 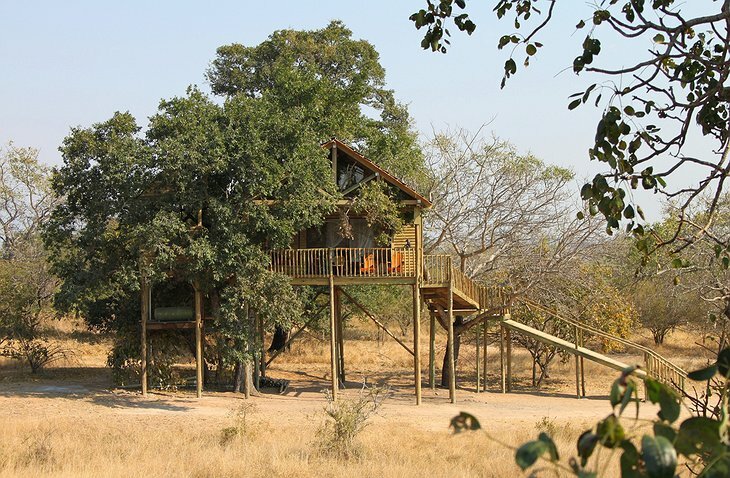 Because it is built to blend into the environment you can have unspoiled views of the local game that come to quench their thirst in the bright mornings.